The Iron Bank will have its due. 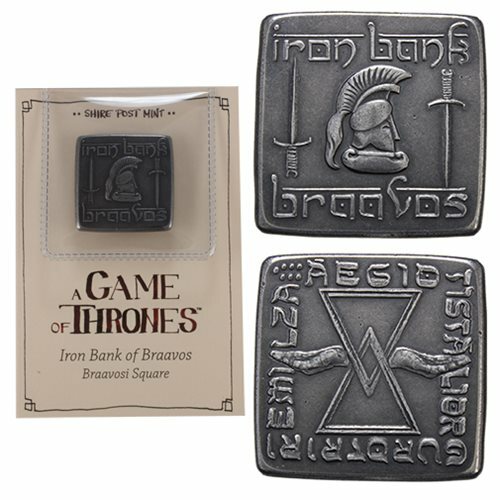 This unique coin hails from The Iron Bank of Braavos. It is made with pure iron in the square Braavosi style. The text is inscribed in High Valyrian and reads "The Iron Bank will have its due." The coin comes with an information sheet with history and the translation.? Each coin is made in the USA using antique coining equipment and traditional techniques.Officially licensed A Song of Ice and Fire merchandise. Ages 15 and up.